Sick leave is time off work granted to an individual worker to address his/her health or that of a close relative (such as a spouse or child). New Jersey is one of ten states (plus Washington, D.C.) that mandates employers provide paid sick leave to its workers. 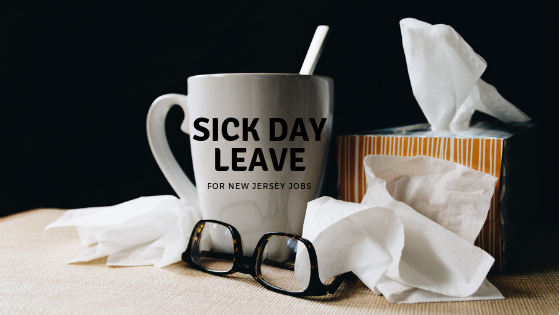 The New Jersey Earned Sick Leave Law, effective on October 29, 2018, declares employees accumulate one hour of sick leave for every 30 hours they work with a maximum of 40 hours annually. In New Jersey, a covered employee is typically one who works for compensation from an employer. It does not include those working under collective bargaining agreements in the construction industry or per diem (per day) healthcare workers. The law also excludes public employees who are already covered by sick leave benefits under President Obama’s 2015 Executive Order. A worker becomes eligible for earned sick leave after employment of more than 120 days. 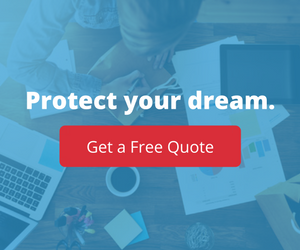 There are a few extremely specific situations in which an employee is allowed to use paid sick leave for something other than illness or injury. The first of these involves victims of domestic violence to deal with issues such as relocation, legal aid, and therapy. The second circumstance is when an employer must close the workplace due to a public health emergency (sick leave can also be used if such an emergency closes the school or child care facility of an employee’s child or children). Sick leave is also available when a worker needs to attend a conference or a meeting regarding his/her child’s education. Finally, sick leave also covers conferences or meetings regarding the care of the employee’s child when that child has a health condition(s) or disability. New Jersey’s Earned Sick Leave Law does not require employers to carry over sick leave hours. For example, if an employee does not use 20 hours of his/her annual paid sick leave, these hours are NOT added to the following year’s hours. Also, there is no requirement for an employer to “pay out” any unused sick leave hours. The employer can, however, choose to provide additional leave for their workers. Employers can require employees who miss three or more days of work to provide documentation confirming the leave was for a covered reason. Often this is a written notice from the doctor providing care for the employee or his/her relative. Employers must document each employee’s worked hours an accrued sick leave each year for five years, after which the employer can discard them. Courts of law or particular organizations (such as the New Jersey Department of Labor ) can require employers to produce these records. Employers are required to keep information regarding the purpose of an individual’s sick leave as confidential. It can only be revealed internally on an “as a need to know” basis or eternally when the employee in question gives written consent. Employers must notify employees of their rights under the Earned Sick Leave Act. Sick leave is not the same as leave provided under the Family Medical Leave Act (FMLA) which is a federal law. FMLA mandates covered employees can take a maximum of 12 weeks of UNPAID leave time in the event of serious illness or injury of themselves or close family members. Workers should check their employment handbook concerning their employer’s specific policies regarding paid sick leave. Employers are encouraged to contact us for additional information regarding employment regulations and protecting operations.